Crescent Moon Collective: Is it a Secret Garden? This is the completion of Clue 2 of the mystery mitts. 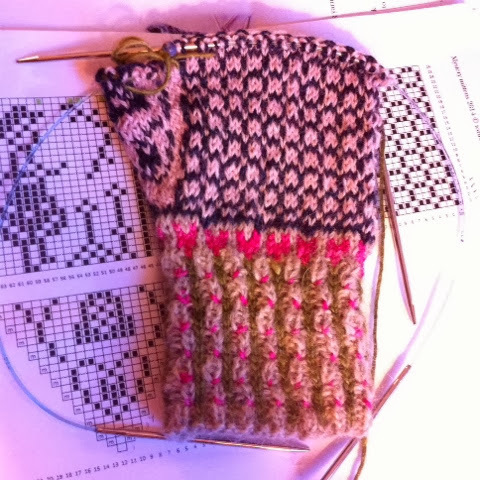 So now I wait for the next clue I have finished both cuffs and now the motif for the left one. 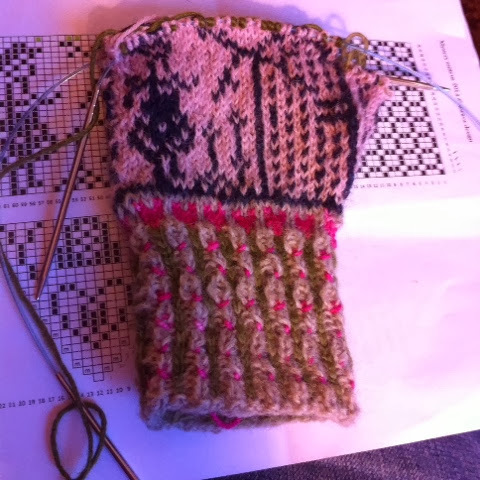 The instructions say the pattern is different for the right mitten. Of course I other things to knit on while I wait. hahah, thanks! I get hooked by the MYSTERY theme, and then have to knit as fast as I can just to keep up to the clues! At least my fingers are staying warm!